Episode #9 - How Do You Order Comics? 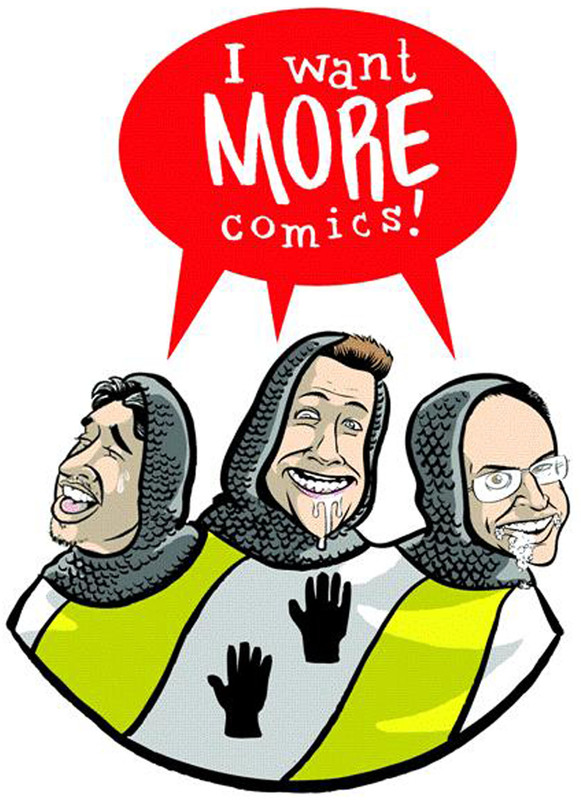 Hello and welcome to Episode 9 of the I Want More Comics Podcast. On this episode we are joined by special guest Wayne Winsett, owner of Time Warp Comics! We discuss Captain America #2 and Uncanny Inhuman's #11, plus talk about our new 10AM to 10PM store hours in the news segment. The picks this week by Zack and Richie were Flash #1 by Joshua Williamson and Carmine Di Giandomenico (DC Comics) and Justice League #52 by Dan Abnett and Paul Pelletier (DC Comics). In Spinning the Racks we peal back the curtain and begin to answer "How do comic shops order comics?” We are joined by Wayne as we discuss the ins and outs of ordering along with the benefits and pitfalls. We just begin to talk about this subject and based off of the feedback from this episode we would be happy to continue to talk about this subject. Be sure to look out for new episodes every Saturday! The MaryJanes - "Face It Tiger"
Peter Bjorn And John - "Breakin' Point"